EA Sports outlined initial expectations relating to the Kinect for Xbox 360 features in FIFA 13 back at E3. 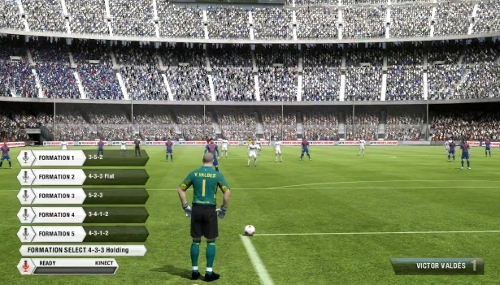 The focus with Kinect is on the voice recognition which will allow users to make commands such as substitutions and changing formations during games without having to pull up the menus. One particularly cool element displayed at E3 was how swearing at an official could draw a card. It seems that idea has since been scrapped though. Instead it will just have an effect on referee actions and career mode storylines. A new video is out and showcases some of the abilities that will be present due to the Kinect integration. Continue on to check it out and leave any thoughts in the comments!